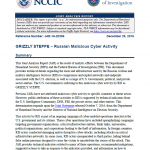 A January 2016 presentation from the U.S. Computer Emergency Readiness Team Cyber Threat Information Sharing Branch regarding their operations investigating and countering botnets. Authentication establishes the trusted relationship between the user and a system or service and validates their identities to each other. 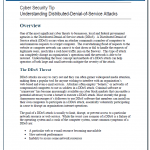 Organizations rely on authentication services to protect important data by limiting access to trusted users. Malicious actors are increasingly interested in exploiting authentication services because organizations rely on them to ensure system integrity and limit access to sensitive data by trusted users. 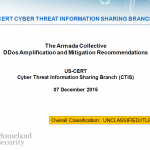 US-CERT is providing this advisory to warn organizations about increased threats and interest in authentication services and provide recommended best practices to strengthen system integrity. 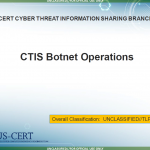 US-CERT is aware of recent open source reports regarding possible counterfeit Cisco routers. US-CERT originally reported this activity in April 2006. 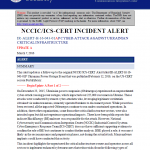 Please note that US-CERT is re-releasing that information in this report for situational awareness purposes due to the new open source reporting and to provide methods for determining if a router is counterfeit.